PPD has been very active in developing 3D software for the Digital TV market using both Linux hosts and target platforms. PPD represented ATI in a standards body developing a cross-platform graphics API known as Broadcast Compositing Language or BCL. By defining a subset of the OpenGL API appropriate for embedded devices and a robust integration with other media engines, BCL in many ways paved the road for OpenGL ES. PPD played a key role in optimizing new user interfaces and applications for the DTV space. The drivers and application elements PPD has developed and maintained are shipping in most major TV manufacturers product lines and power the User Interfaces and caption subsystems. PPD has led the way bringing shader based 3D into the embedded space by porting and tuning an OpenGL ES 2.0 driver onto the AMD Xilleon platform. This new capability for DTVs will enable an enhanced performance implementation of live video mapped onto 3D objects as well as enabling user interface designers to have the same creative freedom that shader based graphics have provided on the desktop. PPD developed an extensive test and demo suite to show off the platform capabilities and demonstrate the best practices to obtain maximum performance with cutting edge visual effects. Recently, PPD has been hard at work on mobile systems based on the Google Chromium and Android OS's. This leverages our extensive experience in Linux user and kernel space concepts and their interaction with 2D, 3D and video. The work has been in driver development and performance tuning as well as developing demo and test applications for new capabilities. PPD played a major role in the development of the cockpit display system for the Joint Strike fighter. L3 Communications called PPD in to help the development effort get unstuck after a 2-month period of no progress. Within 3 days, PPD engineers had the system rendering graphics and the project moving forward again. PPD also provided architecture support in working out the integration of video input to the graphics pipeline and helping determine performance bottlenecks between the application and drivers. PPD has played multiple key development roles for Curtiss Wright Display systems in their embedded 3D projects. PPD developed an OpenGL ES SC driver for the CW 704 product. This driver will allow CW to deploy the same code across multiple operating systems and HW architectures. Taking an existing CW driver, PPD ported the OpenGL code as well as the HW support for a custom AV capture system and moved it onto Embedded WinXP. Once the code was in place on Win XP, PPD was tasked with getting the 3D driver and demo suite up and running on VxWorks 6.5 and the VxWorks Safety Critical OS for DO 178B. In our trouble-shooting mode, PPD provided engineers to CW to help get a project past some difficult texture cache management bugs. PPD improved an existing Linux/X solution deployed in a terminal selling lottery tickets. The work entailed implementing HW accelerated paths for graphics and video clips, tuning was performed in both the driver and the application code. PPD has served in many roles in Desktop graphics. PPD engineers created the original OpenGL support for many desktop chipsets. We helped define the OpenGL approach to multitexturing while representing ATI at OpenGL ARB meetings. As the OpenGL market matured, PPD moved to a providing architecture services as well as support fixing bugs in 3D driver stacks and demo software. Our experience in desktop graphics encompasses virtually all the various forms of Software and Hardware rendering - span processors, tile processors, Hw T&L engines, and the shader pipelines found in current HW. PPD has an implementation of the new OpenCL API under development and also has engineers working on becoming CUDA certified developers so we are familiar with several forms of GPU operations in a compute capacity. PPD has worked with an oil exploration SW vendor to optimize and modernize their visualization software suite. This has involved getting and understanding the application as well as the data flows within it to improve performance by better than 50x. PPD engineers have also provided architecture ideas for how to make applications more efficient both with OpenGL and for the users. This work entailed an analysis and implementation of better and more modern user interface techniques and devices. PPD engineers are active making the home entertainment market more interesting working on a product for a cable provider that allows the distribution of recorded encrypted video programs to be broadcast to other devices on a local network. As part of this project, PPD developed a complete 708 caption system that runs on the Apple platform in less then 3 months. Along with the software deliverables PPD has produced test applications and augmented a reference application suite. PPD played several key roles in the development of ATI's CARD platform, a turn-key solution for low cost TV platforms, providing architecture and design support for the XPM Middleware API, implementing a 608 and 708 Close Caption decode and rendering stack as well as the control application for the reference DTV design. The Captioning system involved extensive work with a TrueType font-rendering engine to tune for performance vs. space tradeoffs. PPD was responsible for implementing the 1st generation ATI designed CARD UI and the toolsets needed for making UI customization quick and easy. Several vendors were able to complete their UI customizations with minimal effort with these tools. In most cases, our DTV work has been done on a work for hire model and does not impose any royalty burden on the customer. Our DTV work and toolsets are deployed on several shipping platforms today. Copyright 2014(c) Pyramid Peak Design LLC. All rights reserved. 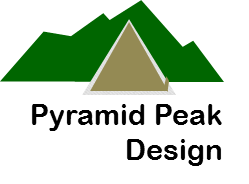 Pyramid Peak Design logo, UniversalRemoteCE, PropertyListerCE copyright Pyramid Peak Design LLC. All other logos and trademarks are property of their respective owners.